Waiting list - Think global. 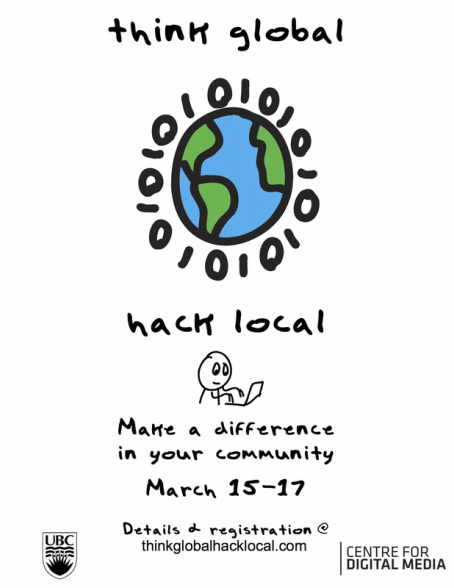 Hack local. Thank you so much for your interest in our hackathon. Unfortunately, we have reached our limit on hacker registrations. We wish we were able to accommodate everyone, but we only have so much physical space to work in this year. However, we know that a few people will drop out at the last minute, so if you'd like to be placed on a waiting list for vacated spaces in our hackathon, just send email to Kurt at his email address below. If we have an opening, we'll let wait-listed hackers know by email on a first-wait-listed, first-emailed basis. On the other hand, we may need a few volunteers to help run the hackathon for the weekend. If you'd like to help with that, please send email to Kim at her email address below. And if neither of those options appeals to you, visit this web site occasionally in the year to come for information on the next UBC Community Hackathon.